To make the lives of entrepreneurs, netizens and website builders easier, there are 3 top CMS available today that make website creation easy, fun and feature-rich! WordPress, Joomla and Drupal have changed the way websites are built and how! They are one of the most popular, boast of a wonderful array of features, easy to set up and manage and most importantly, they are free to use unless you go for a pre-developed paid versions. So, most definitely all of the three are incredible but which one is the best CMS for YOU? The question is for you, your needs and your website. Can any of them fit the bill or there is one clear winner when it comes to YOUR website needs. WordPress is a hands-down winner when it comes to small businesses and individual players. A beginner finds it much easier to use the simple administration panel and plug-ins of the giant CMS. It is an incredibly simple and dynamic content management system for blogs as well as some less-complex product store. Joomla needs some technical expertise but is arguably the best when it comes to eCommerce website management. It is the most popular e-store CMS and is ideal for big on-line stores that sell highly variable and long list of products. Drupal is the crème de la crème of content management systems. It is the most popular CMS with the most intricate set of features that need a great understanding and expertise of Drupal development platform and is ideal for ambitious and highly secure websites. The best of companies in the business depend on the high-end features and efficiency of Drupal CMS. The ease of update and user-friendly back end ensures that people flock the WordPress download button like anything! WordPress is easily the most downloaded and the most used CMS in the world. Not every individual has the technical expertise of coding or can use a set up plug-ins or modules that easily. WordPress is the best solution for beginners and for anybody who wants to build a website without the hassle. Next in the list of popularity is Joomla! It is widely used for building eCommerce stores and big websites. Drupal is the third most popular and is used by businesses that need a sophisticated CMS for adding a variety of features and the best functionality to their website. It is a lot more complex than its other two counterparts. All the three CMSs are free to use. They are open source and no fees or charge is applied on them. However, the technical expertise required for a Joomla website or a Drupal website leads to an investment on such websites. Moreover, custom themes are also developed to suit the different requirements of a particular client. The paid themes vary in cost and the price may depend on the level of customization and specific module or functionality requirement. WordPress is a popular CMS with the best media networks. Forbes, CNN and Sony are among the many to use this CMS. Joomla has its takers in The Hill, It Wire and Harvard University (it definitely needs a great deal of long, long list of user management). Drupal is complex yet the most popular and has found takers in the likes of The White House, Zynga, and the IKEA. 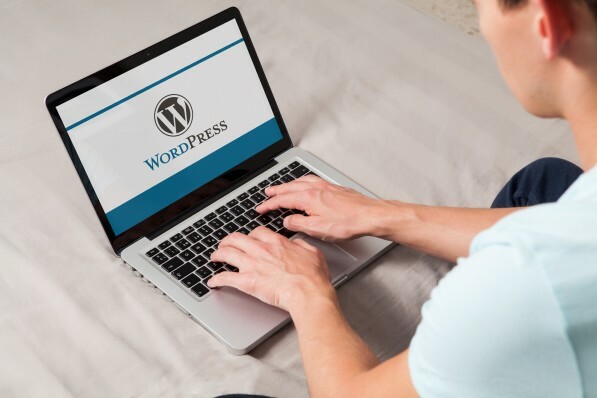 WordPress offers a gamut of plug-ins and themes that offer wide scope of customization and flexibility to a beginner, a blogger and even an advanced coder. With over 27k+ plug-ins, it offers an array of opportunities and possibilities for a website builder. Drupal is close second with over 24K+ modules for developing and adding on to the interactivity and user experience on the website. One-click installation is available with all the CMSs with WordPress taking the least time for manual installation. All in all, it is relatively easier and time-effective to install any of the plug-ins. Drupal scores heavily on the ease of moderation followed by Joomla and then WordPress. High-end technical expertise is required for both Drupal as well as Joomla with Drupal being the most complex yet the most popular CMS. WordPress requires some technical knowledge of basic coding and rest is managed by its plug-ins. Drupal offers a range of customization and host of powerful modules critical for many businesses and enterprise solutions. All in all, WordPress continues to be a favorite among website builders and entrepreneurs and has wowed the small business category big time! However, Drupal is rated as the most successful and powerful CMS that fits literally all criteria for website development. Lastly, Joomla is ideal for big websites such as ecommerce website as well as social networking websites. How to Optimize your eCommerce Design for Successful Sales Conversion? Restaurant tablet ordering system: A gimmick, or really beneficial solution?